"A funny take on modern dating applications." 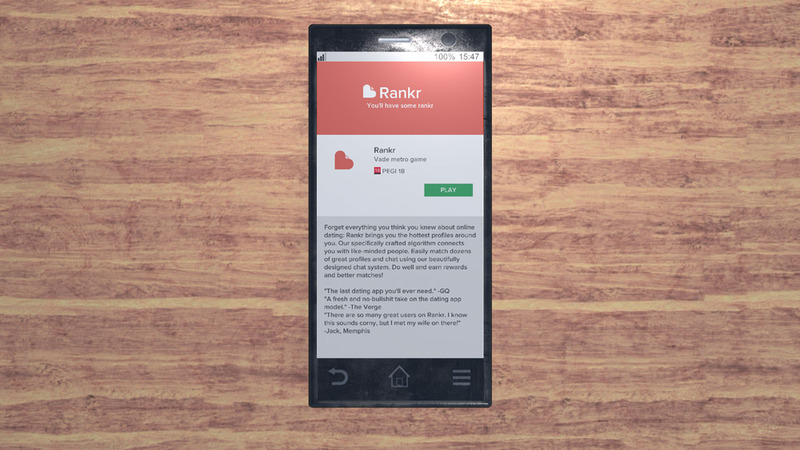 Rankr is another dating simulation game but this one follows along the lines of Tinder in fact the application that you use on your virtual mobile phone functions in almost exactly the same way that Tinder does, you go through and swipe right if you like the potential matches or swipe left to reject them. 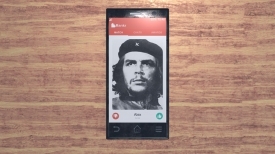 There is humor from the start with the opening person you can match with being Che Guevara but apparently he didn’t like us back so the next person we matched with a was a pretty young lady, who actually turned out to be too young to technically be using the app itself, so on to the next one. 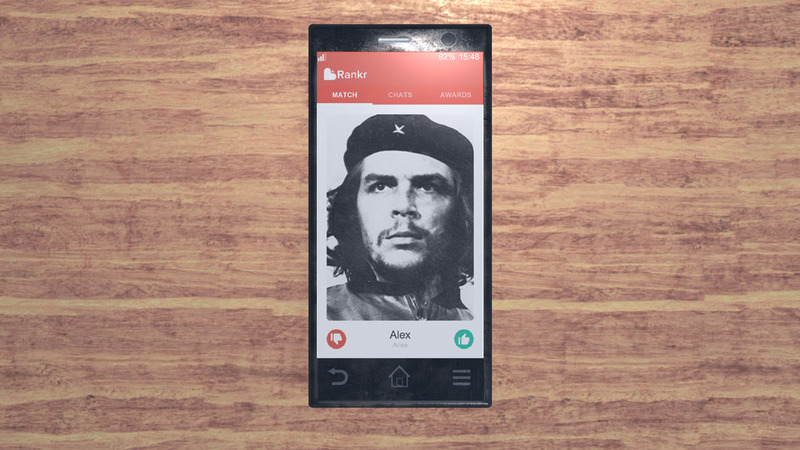 Now for those of you that have used Tinder or similar apps probably the most unrealistic part of this simulation game is that you actually get matches with people quite quickly and this can lead to quite a few different ending unlocks you can find in Rankr. 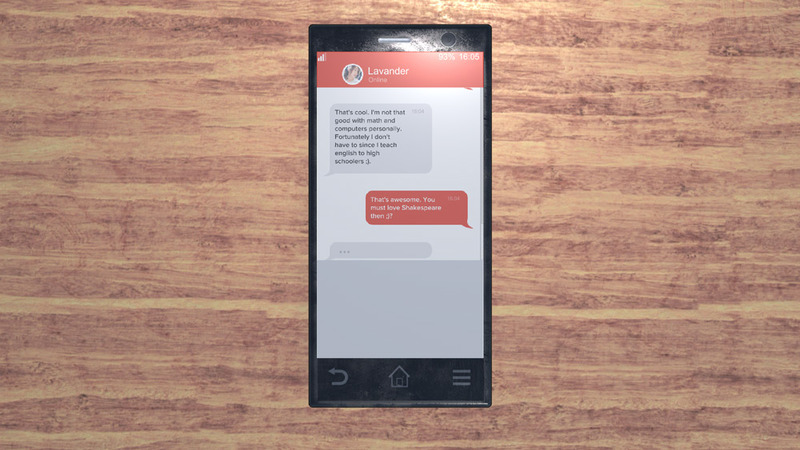 The description of the game claims there is a lot of possible matches also meaning each one should hopefully have a bespoke and unique chat ready to have with you meaning that the game has a lot of replay value, you may even meet your virtual match or perhaps even an old flame. This game is a lot more fun than actual online dating if you have ever had the displeasure of trying it, from a male perspective and female sometimes it can be quite a depressing experience however in this game it’s nothing but fun and even when things don’t work out with some girls which will happen, you’ll have the benefit of knowing you’ve only been rejected by a computer game! Dating simulators seem to be flavor of the month at the moment but this one stands out as a very interesting and satirical take on modern dating. You can download Rankr here for free.